According to a study commissioned by the Asia Video Industry Association’s Coalition Against Piracy (CAP), 45% of Internet-connected, online consumers in Thailand use a set-top box configured for piracy. CAP, which counts the MPA and other large media companies as members, reports that more than two in three of these consumers cancel paid subscriptions as a result. This morning, the Asia Video Industry Association’s (AVIA) Coalition Against Piracy (CAP), which represents the interests of groups including the MPA and other major companies, revealed the results of a commissioned YouGov survey. “In a recent study of the content viewing behavior of Thai consumers, it was revealed that 45% of consumers use a TV box which can be used to stream pirated television and video content,” CAP writes. In the above paragraph, the precise definition of “consumer” isn’t particularly clear. Also, the use of the phrase “can be used” is open to ambiguity. TorrentFreak spoke with Neil Gane, General Manager of CAP, who was happy to clarify on both fronts. “The survey focused on Internet-connected/online consumers. [T]he survey also included consumers who are online and yet don’t view video content, as all respondents were given the option to select ‘Not applicable – I don’t watch television and video content’,” Gain explained. Gane further clarified that the 45% of consumers does not include users who use general “piracy-capable” devices such as computers, laptops, mobile phones, or Firestick/Chromecast dongles etc. Examples of ‘pirate applications’ found on such devices include Mango TV, HD Playbox, and U Play, which provide access to streaming movies and TV shows, mainly on Android. Of course, no recent anti-piracy announcement would be complete without claims about malware running riot. “The damage that piracy does to the creative industries is without dispute,” Gane explains. 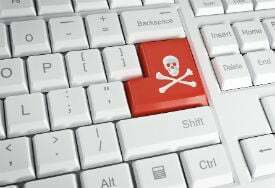 There is little doubt that many users of pirate websites are indeed “click happy” in their quest for free content and that can lead them into trouble. However, we’ve covered malware issues before (specifically in respect of so-called “Kodi Boxes”) and found nothing to suggest that there is a significant risk to consumers. Of course, that doesn’t mean there isn’t a risk with other software pre-installed on set-top boxes – it’s a computer after all, and all such devices are vulnerable to infection. That means that as a minimum, all users should consider running anti-virus software on all devices capable of doing so. That being said, set-top boxes are isolated machines that rarely carry much of value to malware distributors. Most people don’t browse on these machines, send email, or enter any personal or banking information. There is always some risk involved, but in the set-top box environment, it’s almost certainly minimized. While that’s true, the same report also stated that copyright-infringing websites and streaming services are not normally considered to be dominant sources of malware.